As talks over its nuclear program wind down ahead of a June 30 deadline, Iran on Thursday told world powers not to make "excessive demands," apparently in response to France's demand to inspect its military installations suspected as serving a covert role in developing nuclear weapons. In a visit to Athens, Iranian Foreign Minister Javad Zarif who is representing Iran in the negotiations made the warning. "I would expect my negotiating partners to refrain from making excessive demands," he said. "People need to have their foot in reality, not in illusions." 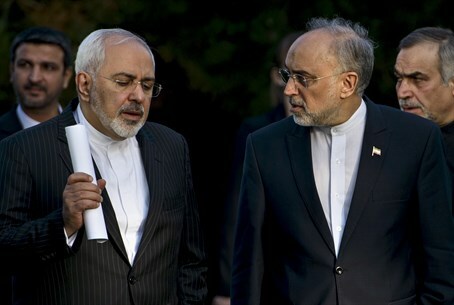 Zarif further said he hopes a final nuclear agreement will be reached "within a reasonable period of time." "If the other side respects what has been agreed in Lausanne and tries to draft based on mutual respect a comprehensive agreement with Iran that is sustainable...then we can meet any deadline,” Zarif said. Shifting his tone, he continued, "if people insist on excessive demands, on renegotiation, then it will be difficult. I am hopeful we will reach a final conclusion within a reasonable period of time." There has in fact been a good deal of disagreement over what was actually agreed on in Lausanne, Switzerland when an intermediate agreement was reached on April 2. While world powers have talked about a gradual rolling back of sanctions against Iran's nuclear program, Iran has demanded that all sanctions be lifted immediately upon signing an agreement. Likewise after Lausanne the US said Iran will stop using advanced centrifuges in a final deal, while top Iranian officials said they will start using advanced IR-8 centrifuges that are 20-times as effective as standard ones as soon as a deal is reached, enabling the Islamic regime to obtain a nuclear arsenal within weeks. Even US President Barack Obama has admitted that as a result of the deal, Iran will be able to reach a "zero" breakout time by 2028, meaning it could produce nuclear weapons immediately whenever it wanted to.